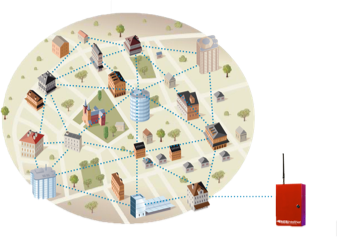 CustomConnect is a long-range wireless mesh network, which uses radio technology to transmit signals. It offers multiple redundancies and is the quickest means of communication between your panel and our Monitoring Response Center. Typical communication is less than 5 seconds, 15 times faster than traditional phone line connections. UL listing and backup battery adds security while eliminating the need for additional phone lines, for commercial fire. No need to worry about sun setting technologies, CustomConnect has you covered. *Please note that this option is available only in select areas. Full transmission of data using today’s cellular networks, utilizing 3G/4G networks. Eliminating the need for old, unused phone lines, while adding extra protection from blackouts, Internet disruptions, and destroyed or cut wires. Saving you money and providing you with tamper resistant technologies. Also, delivering innovative connected technology solutions that provide better security and convenience, giving you control from your smartphone, tablet, or desktop. *Please note this option is based on cell coverage availability and that cellular outages or interruptions in connectivity will affect transmission of signal; having a backup communication is suggested. 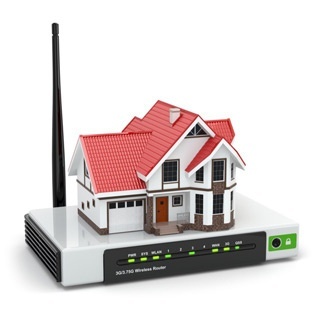 The Internet alarm monitoring communicator will transmit your alarm signal using your broadband Internet connection. The Internet alarm communicator utilizes minimal bandwidth so you don’t have to worry about it affecting your normal Internet service. Connecting you with the technology and convenience needed to give you control from your smartphone, tablet, or desktop. *Please note that power outages, Internet outages and interruptions in connectivity will affect transmission of signal, having a backup communication and power source is recommended. 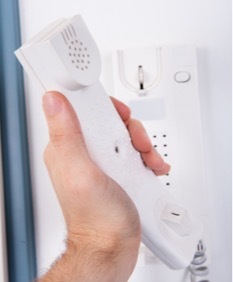 The traditional method of using a landline for a security system is still available and a reliable way for a system to communicate with our Monitoring Response Center. It is a good option for those not interested in using our CustomConnect, Internet, or cellular options. This option can also be used as a backup line of communication for any of our other options, however when used as a primary line of communication your interactive applications to arm and disarm your system remotely will not be available.